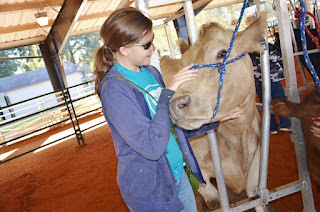 Everest Academy: Nov. 5, 2015 Mobile: Greater Gulf State Fair FREE Animal Visit day! Nov. 5, 2015 Mobile: Greater Gulf State Fair FREE Animal Visit day! Greater Gulf State Fair FREE Animal Visit day! This event is FREE, but I do need a head count to give them. We will get to see the Wizard of Oz art work, animals, and agricultural museum. We will also be able to look through the art exhibit! They are also working on having several fair food trucks open so we can stay and have lunch! Please RSVP to Erin Wainwright at etw501@yahoo.com.